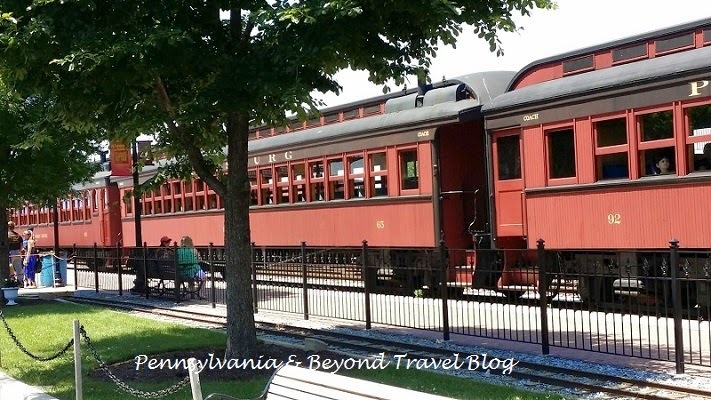 South central Pennsylvania is really a great choice for families who are looking for family-friendly activities to do with the kids. You can find hundreds of things to see and do all within a 90 minute drive from Harrisburg. The surrounding areas include York, Lancaster, Strasburg, Gettysburg and Camp Hill. 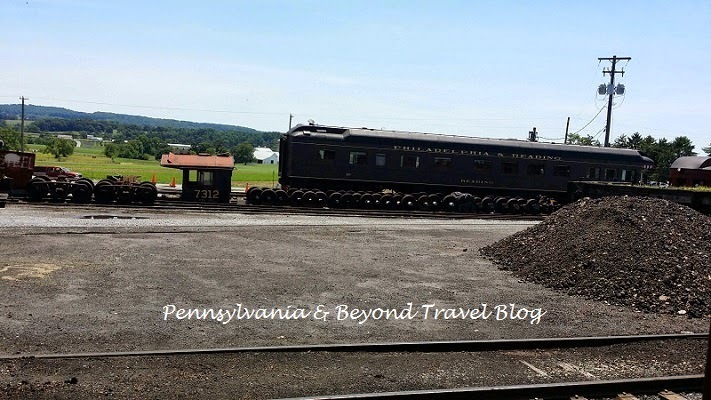 Recently while visiting the Lancaster area, we spent the afternoon down at the Strasburg Rail Road which is located at 301 Gap Road in Ronks, Pennsylvania. It is really easy to get to if you are visiting the Lancaster area and makes for a nice car ride with the family. Admission varies according to age and the type of activities that you plan on enjoying. 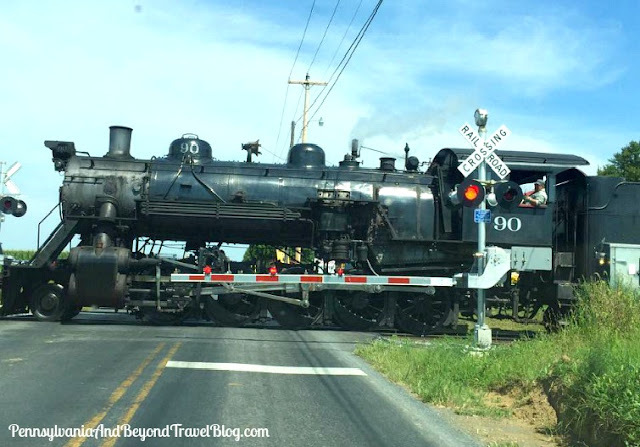 You can locate that information along with their hours of operation and event schedule by visiting the Strasburg Rail Road site online. 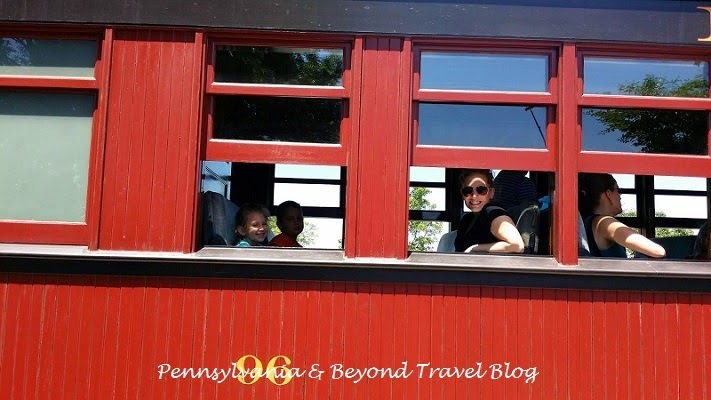 We decided to take the Steam Locomotive Train Ride through the Amish countryside which was absolutely GORGEOUS! The scenery was breath-taking as we passed by numerous working Amish farms. It was really cool to see the Amish out on the farms taking care of farm business. All of the children on the train were excited to see horses, cows and Amish buggies as we passed. During certain times of the year, the Strasburg hosts different types of events. One popular event is the A Day Out With Thomas event that features Thomas the Tank Engine...every little kid's favorite blue train engine! They also host a Rolling Antique Car Event, The Great Train Robbery and many more. Some of the events are geared towards kids and others are for the adults. We had a great time exploring the Strasburg Railroad and after our fun was done...we visited their gift shop and toy store to pick up a few souvenirs for the kids. While most items are on the pricey side, you can find some affordable trinkets too. If you have a train buff or collector in your family, visiting the Strasburg Rail Road makes for a great family-friendly activity. When visiting, I do recommend that you allow at least 2 1/2 hours in your schedule so that you have enough time to do activities and to explore. Note: You can click on each individual photo in this blog post which will enlarge the photo in your web browser so that you can easily see all of the details. Enjoy your trip!